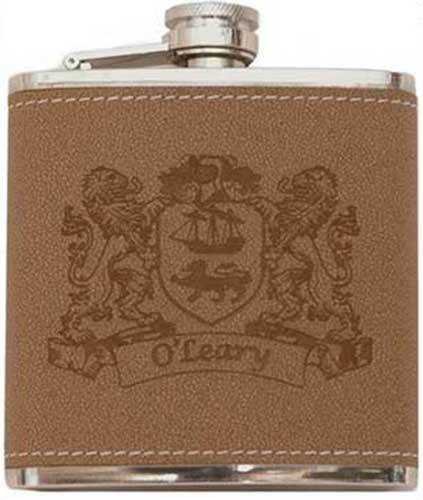 Irish coat of arms gifts includes a wide verity of family name items that range from flasks and flags along with coasters and more. 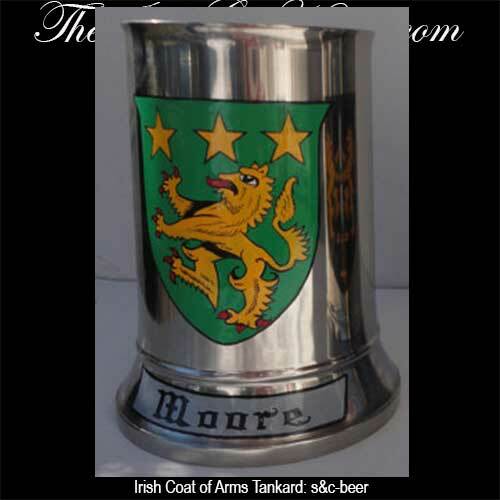 We have made arrangements with the respective suppliers of these personalized Irish Coat of Arms gifts to directly drop ship your order to you or to the gift recipient. 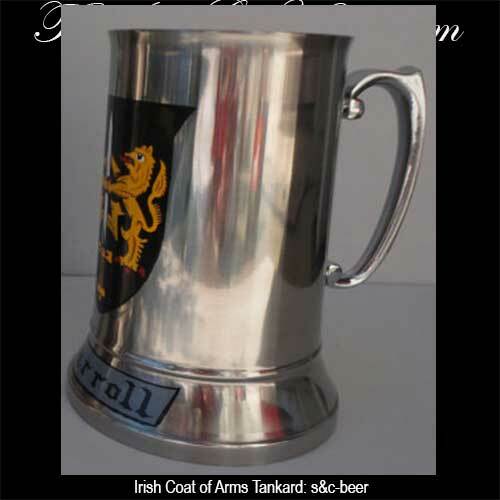 If the gift is part of a larger order that includes stock items, the Irish Coat of Arms gifts will ship separately. 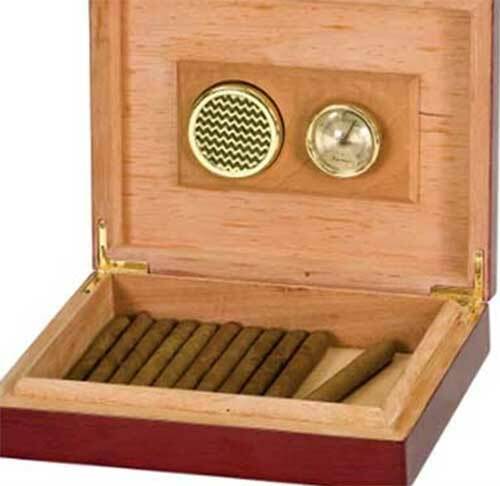 There will not be any additional shipping charge for this service and it will expedite the delivery of the item by one to five days depending on the delivery address. 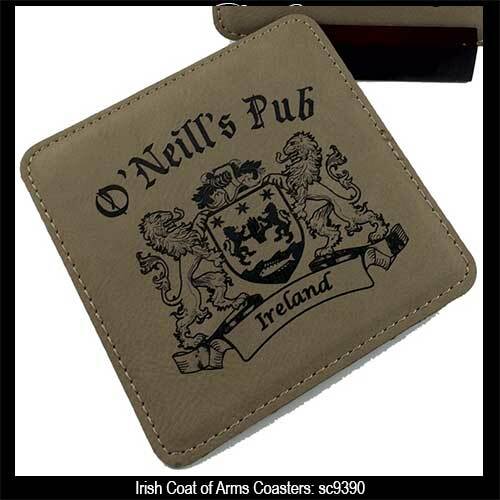 Gift wrapping is not available for the Irish Coat of Arms gifts, but we, at The Irish Gift House, are happy to accommodate any gift card which we would will mail separately. 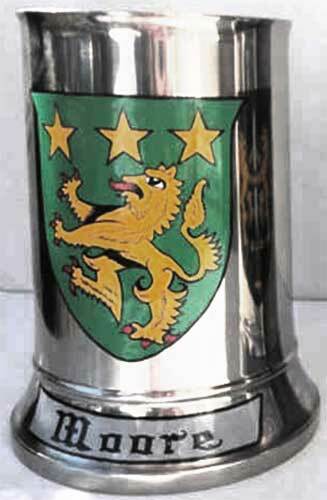 Your Irish coat of arms is boldly hand painted on the skin of this bodhrán Irish drum. 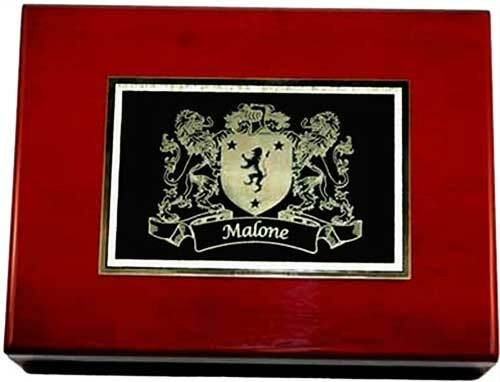 Irish Coat of Arms Cigar Humidor features a solid wood box with a cedar interior and includes a hygrometer along with a humidifier. 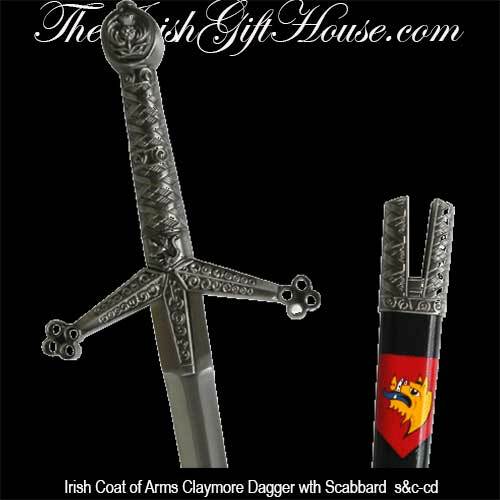 Your Irish coat of arms is featured hand painted on the scabbard of this claymore dagger. 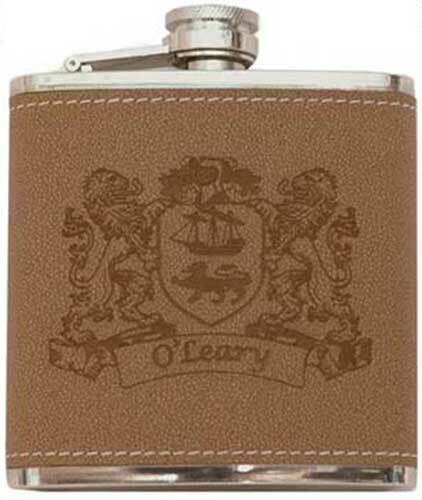 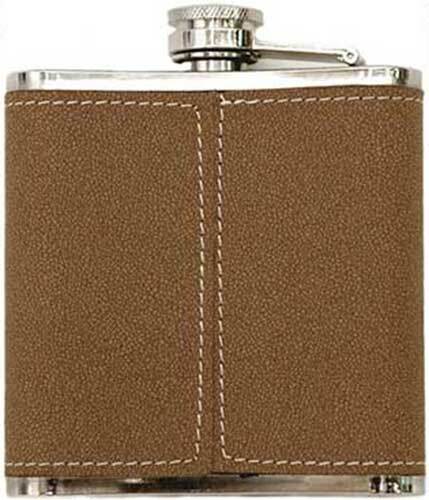 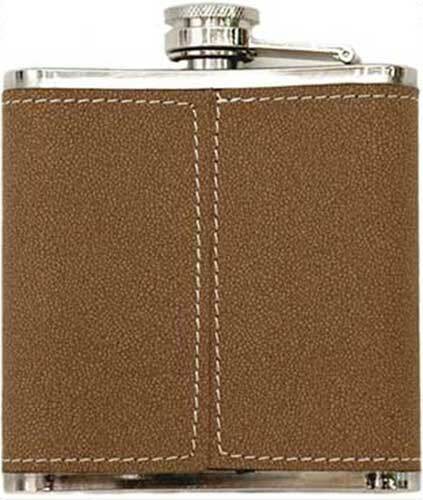 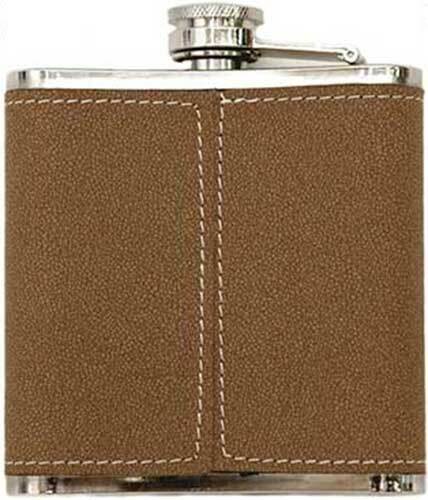 Your Irish coat of arms is hand painted on the front of this stainless steel hip flask. 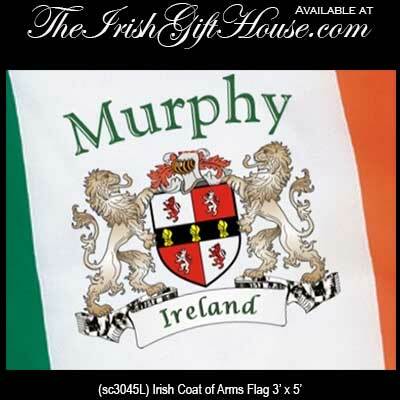 Irish flag features your Irish coat of arms in the white field of the tricolor design. 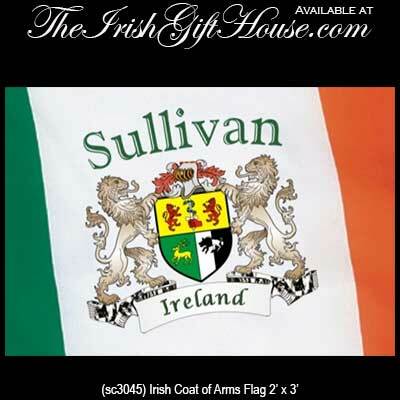 Sorry, this size of the Irish coat of arms flag is now retired. 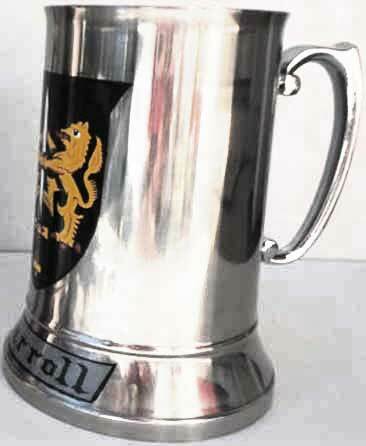 Please consider the larger size. 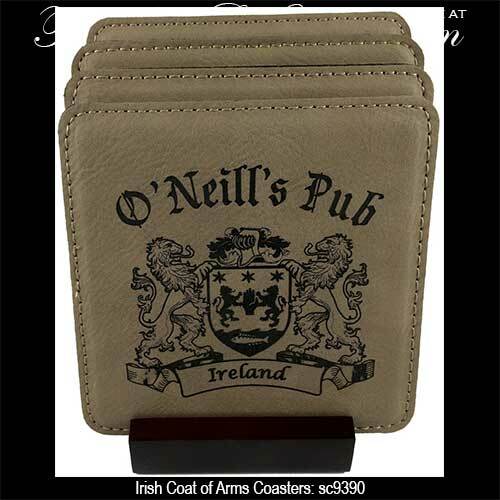 Irish Coat of Arms Canvas Tote Bag. 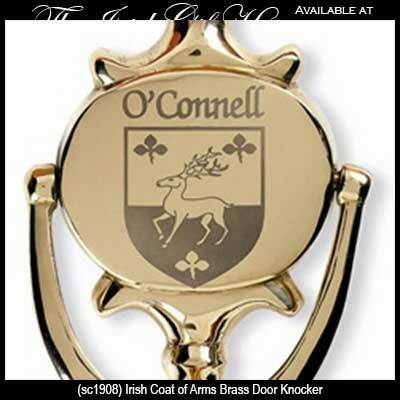 Irish coat of arms key ring with family history.